During those last few weeks and days of pregnancy, waiting for your baby can be tough. No matter what kind of birth you’re planning or how experienced you are as a parent, the anticipation, excitement (and sometimes, anxiety) before baby gets here are hard to deal with, emotionally, mentally and physically. So what can you do while you wait? Distract yourself with fun activities, of course! 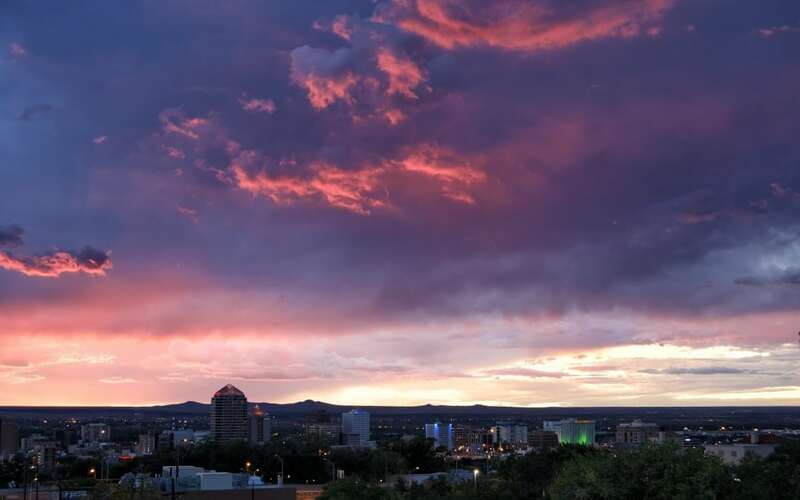 If you’re looking for some fun ways to make the time pass while you’re waiting for baby to get here (or just want some ideas for weekend fun while you’re pregnant), these 9 ideas for things to do while you’re 9 months pregnant in Albuquerque should help! 1. Go for a hike: Albuquerque has some of the best hiking in the country and our sunny weather makes it possible to enjoy time on the trail year-round. From the volcanos on the west side to the more meandering trails in the foothills, there is a huge variety of hiking to choose from in the greater ABQ area. So pack up your partner, plenty of water and head out on the trail. Who knows, all that walking might just help contractions come on! 2. Day trip to Indigo Baby: Albuquerque doesn’t have any independent parenting stores left (after Baby Bear and Zap Oh! both closed in recent years) but a quick trip I-25 will bring you to Indigo Baby in Santa Fe. This is a great spot where you can stock up on one-of-kind, organic, and handmade goods you can’t pick up at the big box stores here. 3. Get a massage: Whether or not massage has been a part of your pregnancy, it can truly be amazing when you’re getting close to term. Not only is it relaxing, it can also help you realign and ease some of the pressures in pregnancy. The therapists at Tree of Life specialize in pregnancy (and also offer induction massage!) so they’re always an amazing option in town. Betty’s Day Spa is also another great place for pregnancy massage. 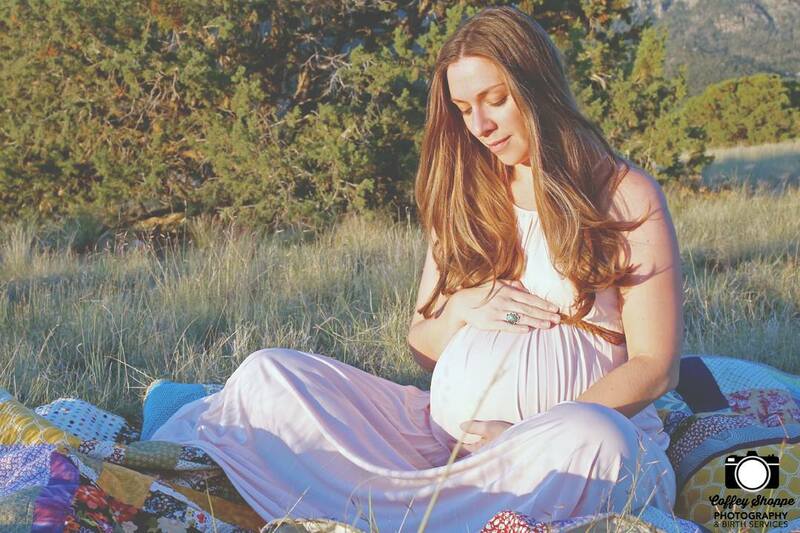 If you’re on a budget, the New Mexico School of Natural Therapeutics offers free massage for pregnant people four times a year during the pregnancy practicum…otherwise, they offer low-cost massages in the student clinic. 4. Have maternity photos taken: Not everyone feels beautiful when they’re pregnant, but women rarely regret having maternity portraits taken. You will definitely be glad you have them to look back on once your baby is born, however silly it feels now to pose calmly with your hand on your big belly! If you’re interested, make sure you pick a photographer who will work with your vision and create photos that reflect you and your personality–ethereal flower crown optional 🙂 There are tons of photographers to choose from in the city, but the gorgeous photo here is by Erin Coffey of Coffey Shoppe Photography and Birth Services. 5. Eat chocolate at La Joliesse: Indulge those pregnancy cravings at the fancy, French-inspired La Joliesse dessert and wine bar. This North Valley spot also has weekly Celtic music jam nights, if you’re looking to hear some Irish music. 6. Go for a swim: Few things feel as good in pregnancy as being weightless in the pool. And you can still get the benefits even if it’s too chilly out for an outdoor swim. Try hitting up Hotel Cascada for the indoor waterpark–they have an adults only indoor/outdoor spa if you’re looking to avoid crowds. UNM also has a heated therapy pool that you can use for a small fee. 7. Take a class: You’ve probably already taken a childbirth class, but there’s plenty of other learning you can do in preparation for baby! Consider a class on cloth diapering, babywearing, breastfeeding, or another topic that interests you. Dar a Luz Birth and Health Center and Inspired Birth and Families both have a diverse roster of parenting classes to choose from. You can also go to a Babywearing NM or La Leche League meeting to learn more–no baby is necessary! 8. Have a spa day at Tamaya: Escape from the city while you’re still basically in your own backyard with a spa day at the Hyatt Regency Tamaya in Bernalillo. You can order up snacks by the pool, get a facial or massage, or book a manicure/pedicure. Pampering yourself before you meet your baby will definitely feel good, especially if you bring friends or family along with relax with. 9. Treat yourself to a fancy meal at Los Poblanos: Los Poblanos is a little oasis here in ABQ, a quaint spot that just makes you feel at peace when you visit. To soak up a little of the goodness, book a table at their in-house restaurant, which serves amazing organic and locally-grown foods. While you’re there, stop by the farm shop to pick up all sorts of lavender-scented products!